Pencil Vein Viewer accurately locates veins in hands for improved insertion of an IV. Pencil Vein Viewer can detect vein of hands more clearly through transmission of LED light in order to help medical staffs to observe superficial vein of hands. 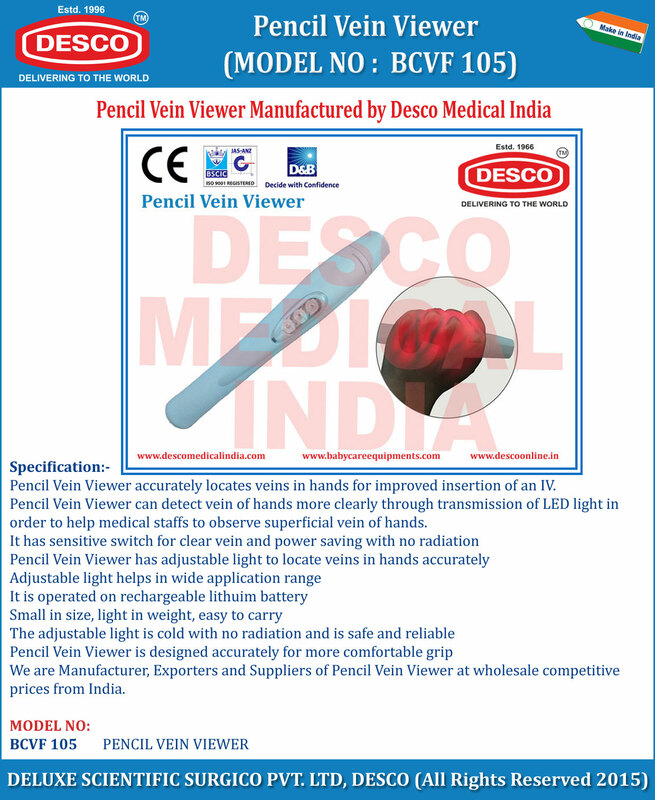 We are Manufacturer, Exporters and Suppliers of Pencil Vein Viewer at wholesale competitive prices from India.